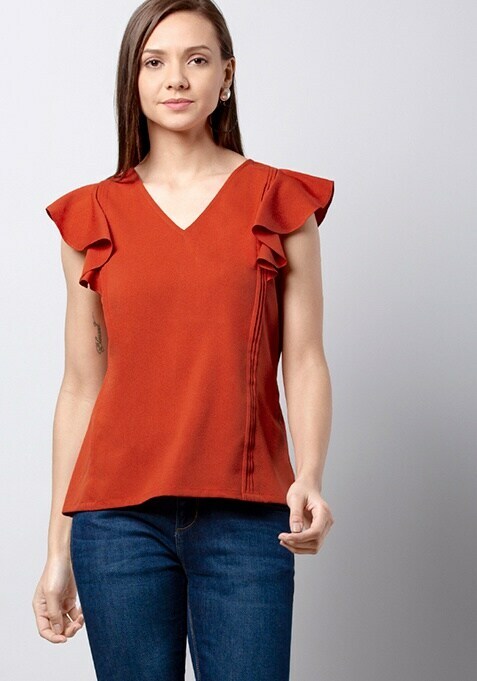 Soli colors are at the top of our list this season and so is this orange top. Featuring ruffled sleeves, V-neck and pin tuck details. Work It: This top looks fab with a pair of shorts and smart sneakers.